Collaboration borne of two artists sparking each other’s creativity is at the heart of The Prelude To, a new album by Pleq (Bartosz Dziadosz) and Giulio Aldinucci shortly to be released by The Long Story Recording Company based in Perth, Australia. It all began when a demo of Aldinucci’s work was submitted to Pleq’s Dronarivm label, leading to the development of the title track, which first appeared as part of the monumental Home Normal’s Elements 5 compilation. Fortunately for us, the partnership blossomed and resulted in a complete album offering with the addition of three new tracks and remixes contributed by The Green Kingdom, Christopher Bissonnette and Olan Mill. .
Pleq combines elements of drone, downtempo, glitch, and modern classical, employing synthesized sounds, violin, piano, and female voice in a style dubbed “Glitch & Melancholy”. Giulio Aldinucci, on the other hand, works primarily in electroacoustic music focused on methods of sound synthesis and utilization of field recordings. Together they cover a wide swath across ambient and experimental music and when their two styles combine, it makes for an exceptionally rich and vivid sonic amalgam. 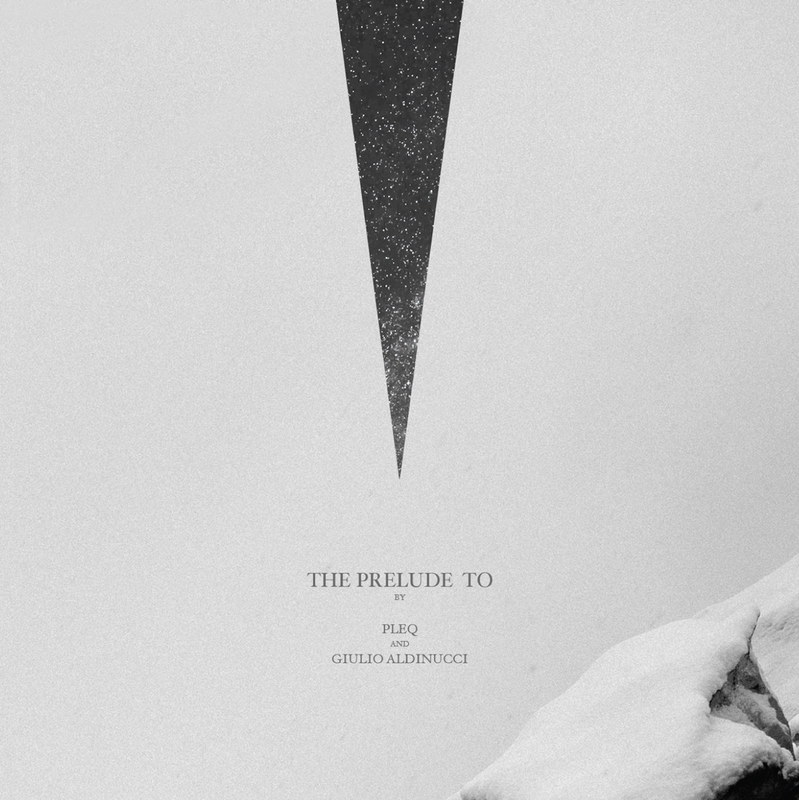 Modern classical elements prevail on “A Prelude To”, as disembodied piano, violin, and voice can be heard through heavy, crackling dust clouds of billowing drones. It is a hauntingly beautiful piece. The Green Kingdom’s remix, which appears later in the album, is an ethereal, IDM slanted take, softening the drones and looping the violin into a pulsing undercurrent while bringing the piano and voice into the foreground. “The Joy of Loneliness” ascends on the back of layer upon layer of choir and organ-like tones until it evaporates into a haze of blissful distortion. To close the album, Olan Mill condenses this longest of tracks by more than half, yet somehow makes it sound even more expansive, as if soaring on the jet stream. This dynamic is inverted with “Resting on Intensity” as the Pleq and Aldinucci original is a resplendent drone that radiates and shimmers, while Christopher Bissonnette’s subsequent reworking stretches it out to expose a deep and somber melancholy that was hidden within. The aptly named “Middle Point” stands alone in the center of the album. It is a somewhat ominous sounding track which shrouds field recordings of voices and urban sounds in dense and slightly dissonant layers which ends up acting as a fulcrum that lends balance and symmetry to the record as a whole. So, while A Prelude To is composed of many ideas, parts and layers, it all fits together with a cohesion that yields more than the sum of its parts. It is a complete and satisfying listening experience. The CD edition of The Prelude To comes in a two panel card with art by Staszek Sokolowski and layout by Phil Gardelis (Zenjungle). The album was mastered by Craig Murphy (Solipsism). Pleq also recently collaborated with Offthesky (Jason Corder) on an expansive, heavily textured dark ambient album called A Thousand Fields released available as a 2x vinyl LP set via infraction Records. What has been hinted at in solo and prior collaborations meshed together with an influence of equal parts minimalism, fourth world ambience, field recordings, drone, and experimental composition to a stunning degree. Something of an ambient/modern classical supergroup, Frozen Vaults is comprised of Pleq along with Harry Towell (Spheruleus), Yuki Murata (piano), David Dhonau (cello), and Tomasz Mrenca (violin). They recently released 1816 on VoxxoV records, a musical chronicle of “the year with no summer”. There has been much written in history to testify the extreme hardship that the cold brought to the world that year. Here in their tributary album ‘1816’, The Frozen Vaults bring to our ears a glimpse of the perishing chills that so many were subjected to over the course of the year. Aer is Aldinucci’s 2014 release on Pleq’s Dronarivm label. It is comprised of seven atmospheric soundscapes produced from complimentary field recordings and software and analogue hardware generated ambient. 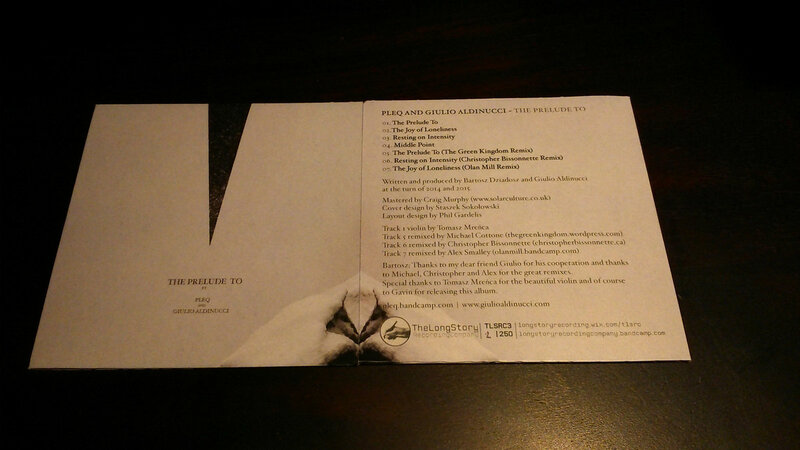 The album includes a pair of excellent remixes, one by Ghost and Tape and the other by Porya Hatami. Invisible and intangible air around us is actually similar to the sea, which always varies. And sound is the voice of air, and the impression of the space where it have been heard. Aer focuses on the ability of different sounds to communicate and become music. Aldnucci’s most recent solo full length record called Spazio Sacro is centered around field recordings taken in places that are related to the idea of “sacred” in different ways. The album is available as a digital download on his Bandcamp site or on CD from Time Released Sound, both in a standard digipak and a highly bespoke deluxe edition. The starting point is a reflection on how human rites define new soundscapes (e.g. processions, architecture of churches and cathedrals or ruins of isolated mountain sanctuaries). The audio material has been manipulated and the music has been written in a constant dialogue with my personal memories, especially those from childhood, when in my area (a small village in Tuscany, Italy) religious rites still marked the pace of the community life throughout the year. Listened to that the other day, really enjoyed that one.